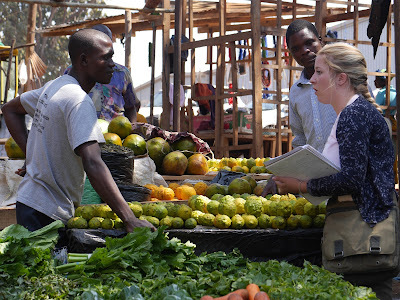 We've just published our first research brief from data collected in April in Lilongwe markets. This is but a drop in the bucket of all the wonderful data we have and I'm very excited to continue working with LUANAR to build on this work. I'm particularly excited about this one because it represents the first time I've used my newly acquired GIS skills to create maps from original data, and that was fun. *edit 10-10-2017: I inserted a new version of the brief, which contains one more author. The New York Times published an important article over the weekend on how Nestle is changing the food system in Brazil and the health effects those changes are having on people. I appreciated the article's framing, which highlights how Nestle has exercised power to achieve its goals. The focus on power is in contrast to how this issue is often discussed in relation to urbanization and the so-called 'nutrition transition.' Rarely is the activist role by the food industry mentioned, and the nutrition transition is generally seen as a natural outcome of a developing food system/increasing incomes. As this article points out, however, Nestle used its considerable resources to mount a multi-pronged, all-out effort to crush or discredit any kind of obstacle that would limit its reach to the hearts, minds, and stomachs of the population. The one complaint I have about the article is that the existing Brazilian food system is invisible. The local, small-scale food system, which is likely where most poor people still get the majority of their food, is not alluded to even once. That system is generally viewed by decision-makers and development economists as an 'under-developed' food system and therefore destined to disappear. People working in it typically receive no support and lots of harassment. It's not a minor critique because so often the colonialist mindset sees anything 'pre-Western' as either a void, or as chaotic and inefficient. I've never been to Brazil, but I'll bet there's a thriving local food exchange system that employs many, many people, and though those incomes may be small, the work is valuable. The article is here, and there is a video, too, which I've not yet watched (it may be that local food system makes an appearance there). The original post is here, authored by Riley Mulhern. The author writes about technology in relation to sanitation, but similar things can be said about 'food system innovation' where 'innovation' is a stand-in for 'technology.' I've written from a similar perspective in the past; here and here, for example. Can we yet admit that no technology can solve inequality? That, in fact, our faith in it as savior distracts us from the real underlying problem? Until we do, we may be perpetuating history’s pattern and pulling modern development dangerously close to the imperialism from which we claim to be free. A developmentalist ideology, in general, locates poverty and impoverished conditions in relation to the absence of modernity, which is construed not only as a technological project, but as a western project. Most conversations and resources in the realm of food system innovation remain fixed around productivist technologies and the need to 'modernize' food systems (where modernization is just another word for westernization). Whether in matters of sanitation or food security, 'development' is always seen in relation to progress along a pre-defined and universal trajectory, with western countries out in front, leading the way. As a project that the 'experts' think they've already figured out, the creative space for technological innovation is quite constrained. Mulhern's allusion to 'imperialism' is right on. Developmentalist ideology may animate slightly differently in the different sectors, but it never draws attention to or addresses the values that produce and perpetuate inequality unless they can be framed as the absence of western practices or institutions. Having such predefined conceptualizations of what development looks like and how it happens tends to cause people to think of development as a project where A follows B follows C, rather than as an unpredictable, locally-situated process of engagement that is primarily led by broad notions of well-being that includes justice, whether environmental or cognitive. As a project where all the pieces exist, technology just serves the role of enacting progress and the deeper questions about justice, and whom the technology serves, can be ignored. I'm gratified to see that these concerns are being raised more and more by the students I work with and by organizations such as Engineers Without Borders. The word “still” carries a subtle indictment. 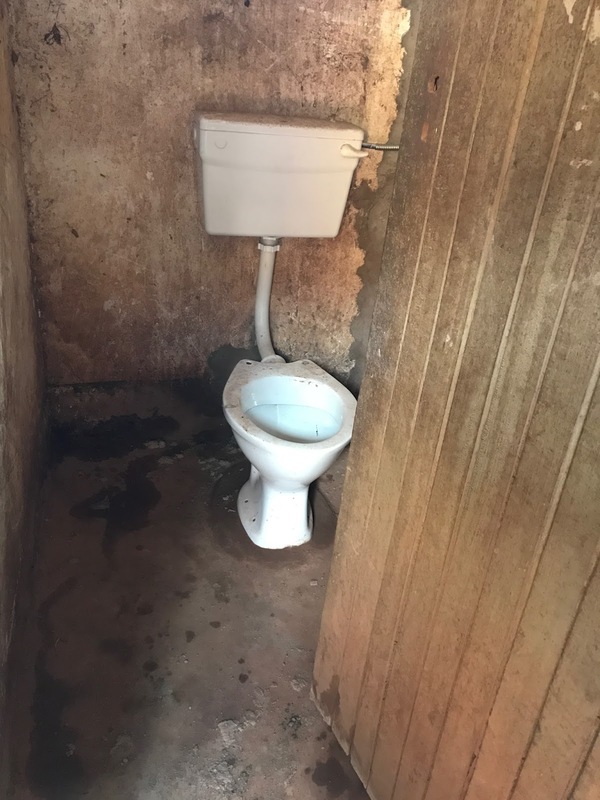 We see it in the WHO/UNICEF Joint Monitoring Programme’s 2015 report on global progress in sanitation, which reminds us that “2.4 billion people still lack access to improved sanitation facilities.” Still. We’ve gone to the moon, developed nuclear warheads, and can communicate wirelessly anywhere on the planet—shouldn’t everyone have a toilet by now? It is tempting to believe that the level of our technology defines the level of our human progress, that our advancements will inevitably lead to something profound and hopeful. How can we not hope that broadband and smartphones will put out the fires of global poverty? Or that solar biochar toilets and infrared sludge pasteurization machines will reduce the burden of disease in urban slums? How can we not hope that broadband and smartphones will put out the fires of global poverty? The word “still” tells us that despite our technical prowess, there is something wrong with modern technology in our relationship to it. It has failed to deliver on its promises for a world free from poverty and disease not because the hardware is incomplete, but because our systems of access remain inequitable and unjust. To reduce that number in the JMP’s next report, we need to abandon the idea of boundless technological solutions and reorient our understanding of progress in terms of justice. The promises that science could solve our thorniest quandaries were planted in the wake of the scientific achievements of the 19thcentury. Men like Thomas Huxley and Herbert Spencer doubled down on Darwinian ideas in the social and philosophical realms. They developed a justification to solve the problems of the lower classes through the superior science of white men, even when those problems were not related to scientific or technological obstacles. When Spencer coined the phrase “survival of the fittest” in 1864, a concept fraught with undeniably racist implications, he confidently prophesied the eventual, ultimate perfection of the human race. Despite our technical prowess, there is something wrong with modern technology in our relationship to it. The modern development agenda is a contemporary embodiment of this illusory human exceptionalism. But this time around it has a humanitarian twist. “Survival of the fittest” has gradually morphed into “survival by the fittest.” Technology is offered to the poor and the slums as a golden ticket. The field of urban sanitation, specifically, has been especially fertile ground for the promise of new technologies to save the masses, having roots in the same thinking as Darwin and Spencer. Said to be the architect of public health in England, Sir Edwin Chadwick transformed the field of sanitation in 1842 with the release of his Report on the Sanitary Condition of the Labouring Population of Great Britain in which he developed a scientific link between disease and environmental conditions. In a time when disease ravaged the urban poor and was best understood in fatalistic terms, Chadwick’s premise became known as the “sanitary idea.” It opened a door to radically new scientific approaches to public health. We fail to see that regardless of the technological height of past civilizations, the same fault lines of health and sanitation have always existed between the haves and have-nots. Chadwick painted the history of sanitation in homogeneous strokes, claiming that before his moment in time, all civilizations were foul, putrid, and unhygienic. They were, in his view, characterized by a universal lack of sanitation and health paralleled by a lack of technology. Such a conception of history blinds us to the reality of social inequalities and emboldens our preening sense of technological superiority. We, along with Chadwick, fail to see that regardless of the technological height of past civilizations, the same fault lines of health and sanitation have always existed between the haves and have-nots. In Ancient Rome, for example, the simple technologies available—cesspits, flushing latrines, gravity-flow aqueducts and sewers—were enough to create basic sanitary conditions for those in power. The empire’s aqueduct system supplied the elite with an abundant water supply for bathing and hygiene. They relieved themselves in marble-floored latrines, which were either cleaned by slaves or emptied into the famous Cloaca Maxima sewer. Meanwhile, archaeological evidence suggests that in poor, urban neighborhoods the Cloaca-Maxima was choked with mud, human waste, and corpses. The average lifespan in ancient Rome is thought to be around 25 years due to egregious infant mortality rates, likely disproportionately affecting the poor due to a lack of sanitation. When we can finally realize that the solutions are not new, we can stop reinventing the hardware and begin looking for ways to reinvent the systems. Two-thousand years later, sanitation technologies have advanced, but the divide in access still lingers. Superior sanitation investments and services are funneled into the neighborhoods of the privileged, while 2.4 billion still lack basic access. When we can finally realize that the solutions are not new, we can stop reinventing the hardware and begin looking for ways to reinvent the systems. This requires seeing the social dimensions at work. We find an advocate for this approach in another 19th-century public health reformer, Sir Henry Littlejohn. While Chadwick was preaching the intelligence of the superior classes, Littlejohn was changing the way neighboring Scotland understood the nature of poverty. As the Police Surgeon of Edinburgh, Littlejohn published a study that was similar to Chadwick’s in 1865. The Report on the Sanitary Condition of Edinburgh explored the relationship between disease and poverty during years of mapping mortality rates across city divisions. Littlejohn, however, came to strikingly different conclusions than Chadwick. Can we yet admit that no technology can solve inequality? That, in fact, our faith in it as savior distracts us from the real underlying problem? Littlejohn had little confidence that Chadwick’s myth of progress would change the conditions of the poor. Rather, Littlejohn saw the “sanitary idea” through the true compounding inequalities long at work. But well-intentioned researchers, policy-makers, and philanthropists in today’s institutions continue to go the way of Chadwick, led on by the shimmering hope that we can fix this by our intelligence, by funding new inventions and tinkering in the laboratory. Littlejohn exposes the fundamental problem of sanitation as one of environmental justice, more than a century before the term became mainstream. That is, that urban poverty, disease, and lack of sanitation are the products of a societal irresponsibility to equitably bear the environmental risks of cities. That is, not all members receive the same level of services, since it is service provision, not advanced technology, that protects public health in privileged neighborhoods and its lack that spreads disease in slums. 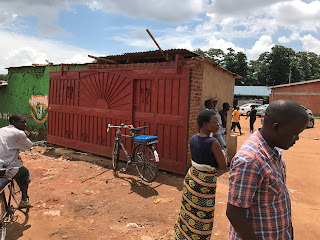 Thus, what we may call “sanitation justice” implies cities that provide equitable sanitation services to all its members, regardless of race or class so that the burden of disease does not disproportionately fall on the poor. It is service provision, not advanced technology, that protects public health in privileged neighborhoods and its lack that spreads disease in slums. Several start-ups—such as Sanergy in Kenya, SOIL in Haiti, and x-runner in Peru—have started down this path. They have created successful businesses that hygienically collect human waste in urban slums while also creating jobs, using no more sophisticated technology than sealable buckets and composting. Emptying of pit-latrines is also a viable and growing business in slums across Africa (although it is still fraught with problems of worker safety and waste disposal). This is harder work than inventing technological stopgaps, because it requires creating sustainable systems of service provision where none existed before and committing to serving these communities over the long haul. When we establish these downward-oriented systems of service delivery, systems that actively and intentionally serve the poor first, then we can truly reap the promised benefits of technology because we will have returned it to its proper place as a tool within systems of justice, not as an all-encompassing promise. Then technology may serve justice, not replace it, and we can say we’ve made real progress. No part of the aim of normal science is to call forth new sorts of phenomena; indeed those that will not fit the box are often not seen at all. There is a trend in academia to put together teams of researchers in ways that are described as interdisciplinary or multidisciplinary, (and sometimes the more inscrutable and maybe even more aspirational 'transdisciplinary'). In general, I see this as a positive development because I think it reflects a basic understanding that a disciplinary approach to problem-solving is insufficient, and that contemporary wicked problems require new ways of seeing and doing. But, to advance scientific methodology and praxis in paradigm-changing ways, I think it is incumbent upon researchers to be precise about how they will frame problems differently and how they are able to rise above disciplinarity and/or evolve new paradigms that grapple with the past and reinvent the imagined future. This is no easy task, and my suspicion is that most of these au courant collaborations are multi-disciplinary in that they are bringing together researchers from different disciplines, but they are not truly transdisciplinary. As such, we are not breaking free from the paradigms that have become more our prison than our salvation. The edifice of western science and its attendant tradition of making sense of the world through discrete paradigms is upheld in many ways, e.g. journals, awards, conferences. In addition, academic incentives are structured in such a way as to actively dissuade academics from moving beyond their disciplines. For the academic, a discipline acts like a security blanket. It's what allows them to advance themselves in their career, and enables both increased stature and salary. However, it can also act like a prison or a dark cave, and it's not hard to see how such a set-up might serve to perpetuate the paradigm more than solving complex problems. It's also becoming increasingly clear how such a set-up has actually caused and exacerbated the most complex problems facing humanity today (3). That's where the push towards multi- or inter-disciplinarity comes in. The academic community knows there is a problem and that traditional disciplinary approaches are not sufficient. That is, we are at a crisis point, and this is, according to Kuhn, the necessary precondition for the emergence of novel theories. But, what seems to be happening in many cases is that there is an assumption that bringing researchers from different disciplines together in multi-disciplinary teams is enough to transcend disciplines. There may be some research papers out there that discuss this in more scientific ways, but from my perspective, having people from multiple disciplines work together in teams doesn't usually do anything to promote seeing problems through new theoretical frameworks or developing solutions differently. For example, teams may divide up the work, and figure out some research questions that they can answer by putting their disciplines together, but the research doesn't do anything to actually generate novel ways of understanding or seeing the problem. In other words, across disciplines, the same world view generates the problem's construction as well as the inquiry for addressing that problem. 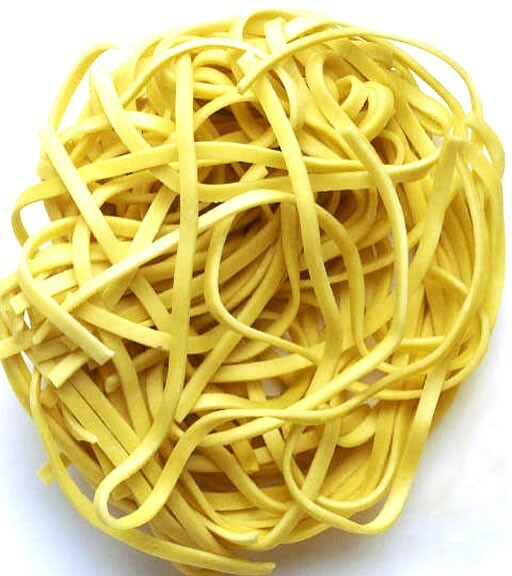 So, while there is a sense that things must change, there is not a full understanding that the problem goes way beyond bringing disciplines together and hoping that mixing scientific traditions together can somehow result in a better pot of soup. Political revolutions are inaugurated by a growing sense, often restricted to a segment of the political community, that existing institutions have ceased adequately to meet the problems posed by an environment that they have in part created. In much the same way, scientific revolutions are inaugurated by a growing sense, again often restricted to a narrow subdivision of the scientific community, that an existing paradigm has ceased to function adequately in the exploration of an aspect of nature to which that paradigm itself had previously led the way. In both political and scientific development the sense of malfunction that can lead to crisis is prerequisite to revolution. With a Trump presidency, I have seen scientists adopting more of a political awareness, but I think it is more defensive than reflective. Unfortunately, I think we're in a moment of self-preservation where scientists feel the need to protect the paradigms, not reject them in favor of theories that would render the "wickedness" of wicked problems impotent. So, though there is a sense that things need to change as evidenced by the trend of multi- and inter-disciplinarity, I think that the political environment is not conducive to a scientific revolution. Perhaps we can make the jump with a future administration. (1) Kuhn, T. S. (1970). The structure of scientific revolutions, International Encyclopedia of Unified Science, vol. 2, no. 2. (2) Yes, I also noticed all the "hims," "hises," and "hes." It's annoying, but I've learned to read past it. (3) There is a lot of good writing on the limitations of paradigmatic problem solving. Lately, I particularly enjoy the critiques of Economics. A recent article: "What if sociologists had as much influence as economists?" Clearly, a toilet that uses water is not an innovation. A water tap is not an innovation. So, what gives? Why are we focused on things like this in our practicum? I've said it many times: innovation is not the province of particular people, and it doesn't look a certain way. Rather, innovation is a feature of human intellect and creative capacity. The focus on innovation as a thing designed to achieve particular objectives that have been defined by developmentalist values is messed up because it robs people of intellectual sovereignty and, thus, is an assault on cognitive justice.¹ But, in today's brand of development, 'innovation' is equated with 'cool new silver bullet.' 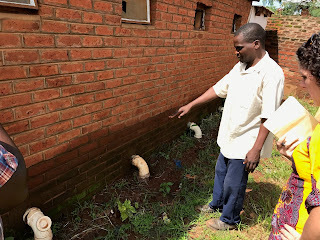 Innovations are only innovations if they've been defined by the 'developmentalist' community as such, so we get things like 'climate resistant maize' and 'sustainable intensification.' None of these are necessarily bad, but where do the values that produce these things reside? Where does the embedded intellect originate? Generally, not with the people whom they are supposed to serve. We focus on urban food markets because they are vitally important to urban and rural food security. 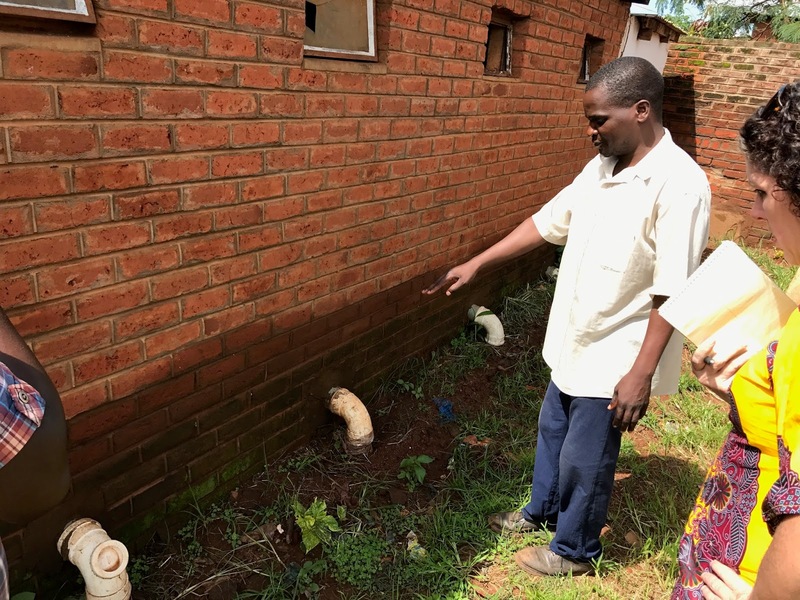 Not only do they distribute food in ways that are appropriate to the conditions that define the food-provisioning and exchange system in Lilongwe, they are major economic and social institutions. They should evolve to meet a wide variety of opportunities and constraints as defined by the people who rely on them and as the city grows and changes. But, due to many factors, including imposition of structural adjustment, many such markets have stagnated, not because of any inherent flaw, but because conditions don't enable the ability to effect change. They lack the most basic infrastructure and income margins are so small as to be non-existent in some cases. How are people in those conditions supposed to have the bandwidth to drive innovation in a way that meets their needs as they define them? That's where toilets and water taps come in. Not only do they meet some critical needs as defined by the people who will be using them, their construction and maintenance relies on a community-driven and community-defined process. At the same time, the forum we provide for identifying problems and deciding what to do about them has the ancillary benefit of confronting actual obstacles to innovation, such as lack of communication and transparency between vendors and city decision-makers. These are systemic issues that have to be addressed to allow the innovation system to evolve. Change can happen, but the conditions, including material conditions, that foster it need to be nurtured. ¹This is a term I first read in the book "Science and Citizens," an edited volume by Melissa Leach, Ian Scoones & Brian Wynne. The specific chapter: Visvanathan, Shiv. "Knowledge, justice and democracy." Science and citizens: Globalization and the challenge of engagement (2005): 83-94. A major outcome of the FIP2 were projects designed to meet critical needs in the four markets. 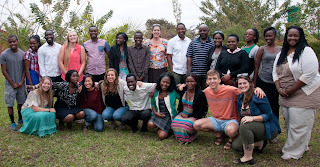 Over a period of two weeks, students and market committees designed projects based on action research, collaborative identification of critical problems, and through a process called ‘design thinking.’ In addition, each market had a modest sum of money (around 720USD), made available through a small grant provided by a student from the FIP1 cohort and a crowd-funding campaign. The design-thinking forum was carried out over a period of two half days and resulted in four project plans. 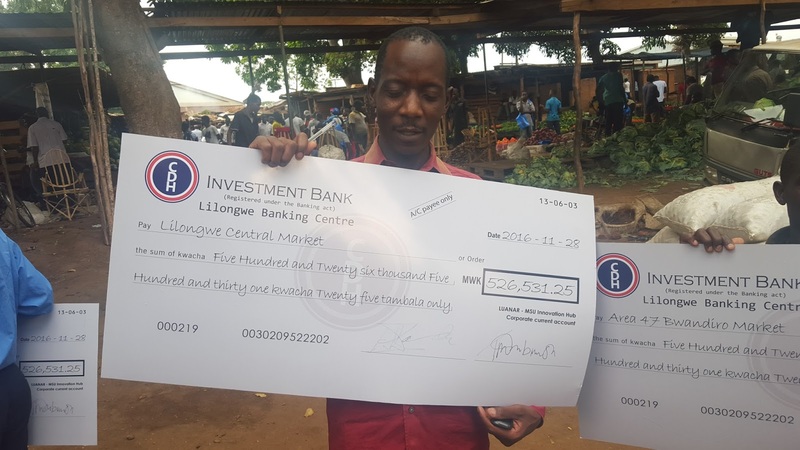 The money was allocated to markets in late November of 2016. As of February, 2017, three out of four projects have been completed, while the fourth is still in process. An update for each market follows. The information contained in the following summaries was collected during visits to markets in February and through conversations with market representatives and Mr. Genscher M’Bwabwa, the Director of Commerce at the Lilongwe City Council. On important outcome of all four projects is an apparent improvement in communications and transparency between the city council and market committees. While this is in large part due to a commitment on the part of individuals in the market and the city council, the practicum provided a forum to bring these parties together in new ways. In addition, involvement of students and academic institutions as intermediaries provided a theretofore non-existent service of conflict resolution between market committees and the city council. Thus far, this appears to be a good model that warrants scaling in coming months and years. The Area 25 market committee decided to renovate toilets as a first step towards increasing the cleanliness of markets. In the past, the toilets were managed by an individual that had been contracted by the city, but who had no other connection to the market. 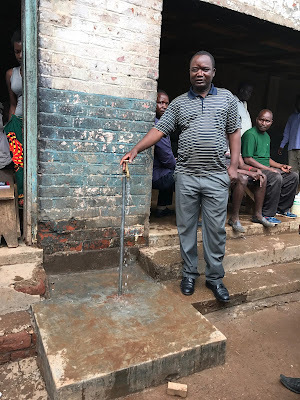 This person allowed the toilets to fall into disrepair and neglected to pay the water bill, even though he had been collecting user fees from vendors. The market committee said that the fee structure will require people to pay to use the toilets, but not the urinals. When it was pointed out that women still have to pay to urinate because they use a toilet, they agreed to rethink this so that men and women were treated fairly. The final decision will be made by the market committee. Due to the previous mismanagement by the contracted city employee, the water bill went unpaid for many months and was eventually turned off. As of mid-February, the water had been off for four years and had not been turned back on. 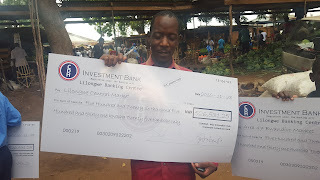 The Lilongwe City Council appeared to be seeking a quick resolution to the matter, and was attempting to have the water board re-direct the outstanding bill to the original city employee, which would allow the water to be turned on in Area 25. The money provided by the practicum did not quite cover the costs of the toilet renovations. The remainder was collected from vendors and the work was completed by people from within the markets. Mr. M’bwabwa cited the Area 25 management plan as a model for other markets. Aside from the daily improvement that the toilet brings, it is perhaps this ‘process innovation’ that will have a greater impact on how markets are managed. 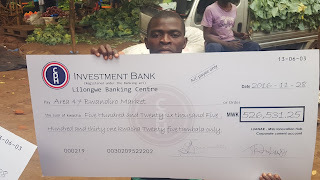 Area 47 identified a number of critical needs, but, given the available funds, decided to focus on installing a gate in order to enhance the security of the market. This market is located next to a bar, the patrons of which are reported to wander into the market at night and steal food. The gate is closed at around 6pm, which prevents this kind of theft from occurring. Like the other markets, Lizulu identified a number of critical needs, but decided that the installation of floodlights was a priority since many vendors need to be in the market when it is dark. However, the amount of money provided by the student practicum falls considerably short of what is needed. The practicum contributed around $720 and the total quotation for the work is close to $2000. In conversations with both the city and the market committee, there is an emerging consensus about how to close this gap. The city is likely going to contribute both labor and materials, while vendors will contribute, as well. Though no fixed date for the work had been established, the willingness on the part of both parties to complete the project was evident. Central Market is the largest and one of the oldest markets in Lilongwe. A broad range of vendors works from this market, including a number of small restaurateurs. During the practicum, the market committee identified the lack of affordable water access as the most critical issue to address with the available funds. In a market serving 2800 vendors, there were only two water taps. It is worth noting that the market committee had long been trying to resolve this problem, waiting only on approval from the city council to install the taps, but that their efforts had been frustrated by confusion and miscommunication with the city council. In addition, the market committee noted that many vendors in the market were unaware of, or resistant to, the idea that water bills had to be paid by the vendors. As a result, the market was behind on paying water bills. During the practicum, the market committee was able to devise a clear strategy for installing the taps and a management/communication plan for collecting fees and paying water bills. In addition, the practicum provided a forum for pushing past the inertia that had frustrated efforts to resolve the issue with the city council. 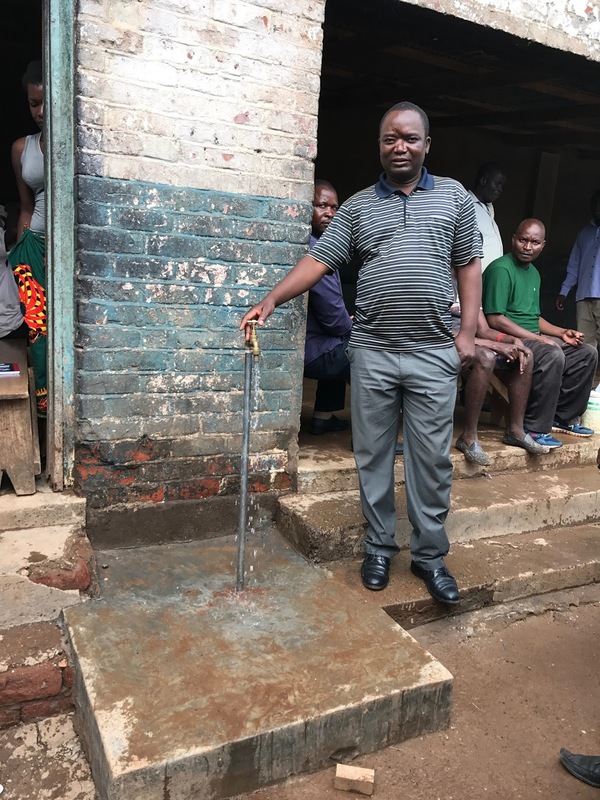 Despite suffering a severe fire shortly after completion of the practicum, three new taps have been installed and are currently functioning in different parts of the market. The market committee will manage these taps independent of city council oversight and have hired attendants to collect fees at each. I have a particular interest in researching and engaging with the 'small' urban food sector. This is a sector you're familiar with if you've spent time in places where the industrial food system hasn't transformed the food environment. In such places, smallholder farmers grow the food, and then that food is moved off the farm and into cities through the individual efforts of many thousands of small-scale transporters and traders. This sector is a main source of food for most people in these places, and a huge source of employment for many, especially women. In a 'developmentalist' framing, the value attached to informal is 'undeveloped' (and therefore bad**), while formal would be construed as modern and developed. In the food sector, 'informal' connotes antiquated, dilapidated, and insufficient for moving food around in growing cities. There is an emerging consensus that it will be necessary to 'structurally transform' these systems so that food demand can be met. *** The assertion that structural transformation is needed, however, comes with no empirical evidence about why current small-scale food provisioning systems would be unable to meet this future demand. Let me be clear, I'm not saying they can or cannot. As someone who has been researching these food systems for several years, I know that actors in small-scale food systems struggle and could use some support to address issues that negatively impact their work and ability to provision cities. But to implement policies without knowing how those policies will affect a primary source of food and livelihood is irresponsible and very likely to harm many people. Further, to malign and dismiss these practices without understanding them is to deprive ourselves of insight that can be helpful in reinventing the definition of 'modern' food systems, a clear need in light of the contemporary and unprecedented challenges facing us. 'Modern' food systems, given their tendency to produce obesity, cause environmental disasters, use practices that are unethical to both humans and animals, and be overly energy intensive, are looking increasingly backwards and in need of an overhaul to be more capable of dealing with 'modern' challenges. So, what terms should be used if not 'informal?' What terms might better call attention to the interests that are served by particular investments into food systems? For my own work, it will depend on whom I'm talking to, but I'll not be able to abandon the term completely because of its wide purchase among advocates and people actually working in that sector (e.g. MUFIS). I have colleagues that prefer the term 'traditional,' but, while that doesn't give the impression of chaos, it does convey something 'old fashioned.' I've been using 'small-scale,' but that is devoid of cultural and political significance, which are important aspects of any food system. Charles Dhewa uses the term People's Market, which calls attention to who controls, uses, and benefits from this kind of food exchange, but it isn't a term in wide use. My academic self likes 'emergent,' 'popular,' and/or 'complex adaptive systems.' For the time being, it's at least important to make the inherent assumptions explicit and to keep shining a light into the black box. **The World Bank says "The term informality means different things to different people, but almost always bad things: unprotected workers, excessive regulation, low productivity, unfair competition, evasion of the rule of law, underpayment or nonpayment of taxes, and work “underground” or in the shadows." ***From the publication "Growing Food for Growing Cities", p. 26: "structural transformation of the food system includes both structural changes and conduct changes within the segments of the food system. Structural changes include spatial lengthening, consolidation, disintermediation, and vertical integration. Conduct changes include technological advances, use of purchasing standards and contracts, the rise of procurement networks, and increased horizontal coordination such as cooperatives." Bromley, R. (1978). Introduction-The urban informal sector: why is it worth discussing?. World development, 6(9), 1033-1039. Hart, Keith. (1973). Informal Income Opportunities and Urban Employment in Ghana. The Journal of Modern African Studies, 11(1), 61‐89. Hart, K. (2006). Bureaucratic form and the informal economy. Linking the formal and informal economy: Concepts and policies, 21-35. Roy, A. (2005). Urban informality: toward an epistemology of planning. Journal of the American Planning Association, 71(2), 147-158.